Retro phone fans, rejoice: Nokia have unveiled an updated version of the much loved 3310 at Mobile World Congress. 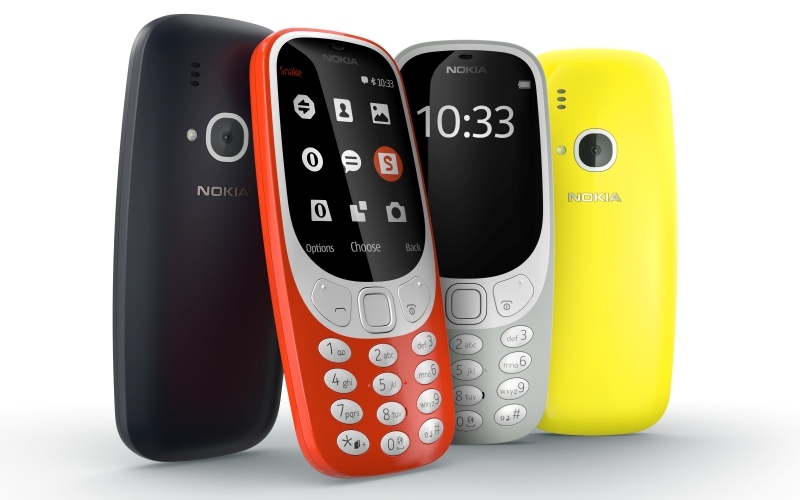 The new 3310 offers the full early-00s mobile experience: it has an old school keypad, a slightly updated version of the 3310’s original software and a tweaked version of the 3310’s distinctive design which replaces the up and down keys with a D-pad. This dedication to nostalgia extends to the lack of Wi-Fi or even 3G. If you want to talk to people, you’ll have to text or *gasp* call them! Most importantly, Snake is back… although it’s a little different to how you remember, with our beloved block hero now an actual proper snake that moves like, well, a snake rather than an articulated lorry on a series of precisely 90 degree roads. Nokia have included a few modern updates though. The colour screen is bigger than the original 3310’s, while the phone itself is around half the thickness. It also has a microUSB port, a headphones socket (take that, iPhone 7) and a suitably archaic 2 megapixel camera. That’s about as modern as the new 3310 gets though. This is a proudly ‘dumb phone’ aimed at nostalgic and/or practical people. And at just £42, it could be a surprise hit.